Sassy’s story begins in a Chicago garage on a paint can. At least this is where her story with Rise Raptor Project begins. 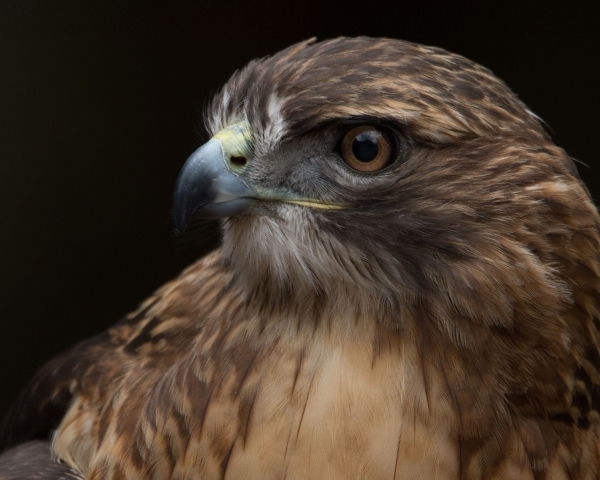 Sassy is a Red Tailed Hawk who was living in the Chicago Illinois area. She was likely kept illegally as she was seen wearing crudely make leather equipment while food begging from humans. 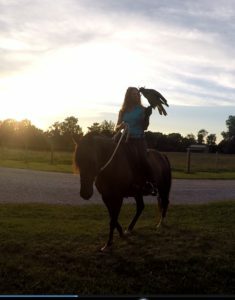 Fortunately a licensed falconer who knew this was abnormal behavior which would not allow Sassy to survive long term in the wild was able to capture her and deliver her to a rehab facility. Curt Cearley, Founder and Executive Director of Rise Raptor Project was a comrade of the workers at the Chicago facility. Knowing the outstanding reputation of Rise, they called. Sassy is a perfect fit for us here at Rise. 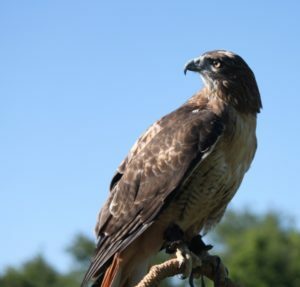 The Red Tailed Hawk is the bird of choice for Alabama Falconers. 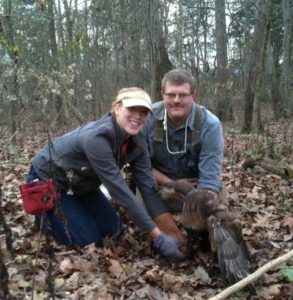 Curt Cearley is a Master Class Falconer and can therefore train and fly Sassy free to hunt squirrels during the season. This helps Sassy stay physically fit as well as mentally and emotionally healthy. In addition, Sassy can serve as an education ambassador in Rise programs throughout the year. Indeed, Sassy and Rise are a win-win match. When Sassy came to us she was in relatively good health. 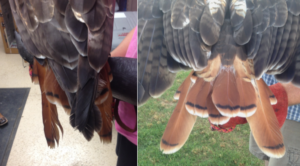 However, her feather condition gave clues of past poor housing conditions as well as poor nutrition. Luckily, raptors molt all of their feathers once per year. So, in one short year of proper housing and nutrition Sassy was looking quite stellar. She even gets to ride horses now and then. Return HOME.